People celebrate Easter in many ways and for many reasons. Aside from the holiday itself, Easter is also representative of the start of Spring. …And to us golfers, the start of spring is the start of GOLF. 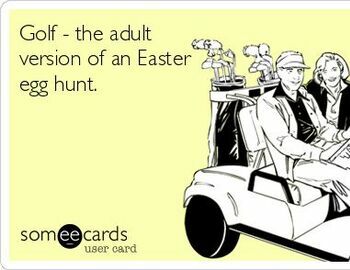 Unless you want your game of golf to seem like an adult version of an Easter Egg Hunt, make sure you get out to the links early and often to sharpen your game.